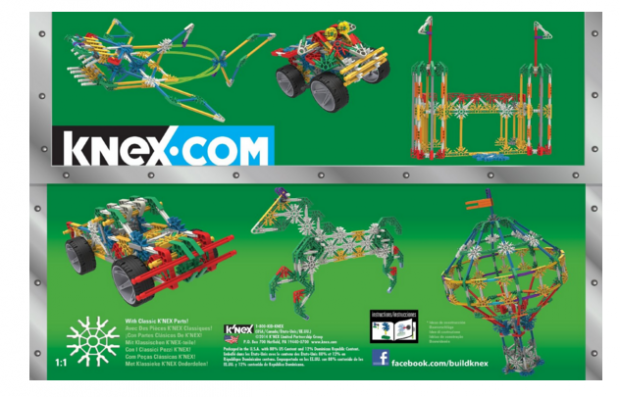 K'nex 70 Model Building Set, 13419, 705 piece Just $16.88! Down From $39.99! You are here: Home / Great Deals / Amazon Deals / K’nex 70 Model Building Set, 13419, 705 Piece Just $16.88! Down From $39.99! K’nex 70 Model Building Set, 13419, 705 Piece Just $16.88! Down From $39.99! Here’s another fun Christmas gift idea! K’nex 70 Model Building Set, 13419, 705 piece is just $16.88 down from $39.99 on Amazon! Hurry and get yours now!